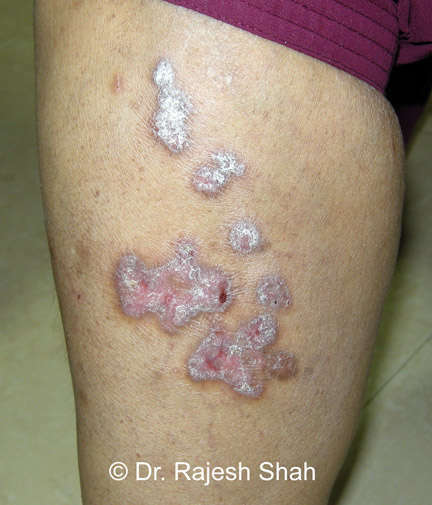 Lichen Planus is not a dangerous or fatal disease. Though, ill-understood, it has a tendency to be self-limiting. However, its length of time is usually very long, running into years and it varies from patient to patient. At the same time, it has a peculiar tendency to relapse after some years, maybe two, three, or more. One of the theories is that Lichen Planus is a pre-cancerous condition. However, it is not yet medically supported by scientific studies. Some of the complications of Lichen Planus include Alopecia when it affects the scalp. Due to eruptions on the scalp, dryness of the skin due to the blockage of the sweat ducts. Lichen Planus often becomes a medico-social disorder, especially when it shows up in the visible part of the body, such as on the face. It is uncommon for Lichen Planus to appear on the face. If Lichen Planus remains untreated, it may simply stay as it for a long time or may spread to different areas of the body. If it is treated using cortisone, it again tends to spread to other parts of the body.